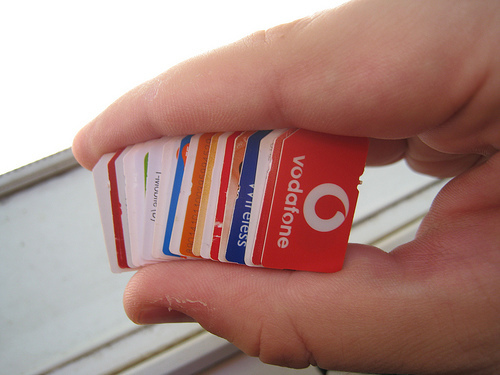 Home » FullTiming » 3G/4G data sim only, the best value? 3G/4G data sim only, the best value? As I am a fulltimer without a broadband connection most of the time I always look for the best deal on sim only data. I don’t want a contract as they rarely have enough data to last me a month and I need to carry multiple sims. I carry multiple sims so that if I am in an area where one network doesn’t work then it is likely that another one will. Currently I have not found a place where either 3 or EE won’t work. Up until recently I have been paying £25 for 7GB of data directly from Three. However I tripped over this deal for £22 for 12GB which I have been buying 1 a week on average for the last 2 months. I don’t mind paying for a few of these up front as they have a 12 month expiry time. This means when I am on wifi I don’t worry about the sim expiring at the end of the month. Amazon however have just put this offer up. At £28 for 24GB with a 2 year expiry time it is the best value data only sim I have seen so far. It is worth noting that these sims are apparently within the “Feel at Home” system so you can use them if you tour Europe and some other countries. There are restrictions but I haven’t looked into this as I have no immediate plans for travel. ← Variable speed fan controller for the fridge.